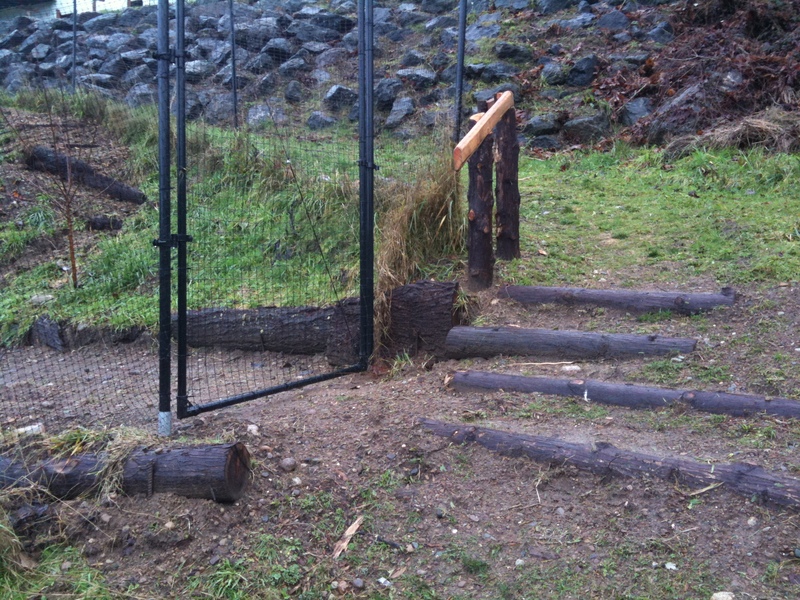 Updated the food forest pathways, replacing the temporary stairs, which were mighty uncomfortable with my incorrect rise over run. Went back to the same permaculture crew that designed our food forest on paper and hired them to fix my mistakes in traffic flow through the garden. Wow. Awesome ideas. We got the rough cut boards from a neighbor with a backyard saw mill. 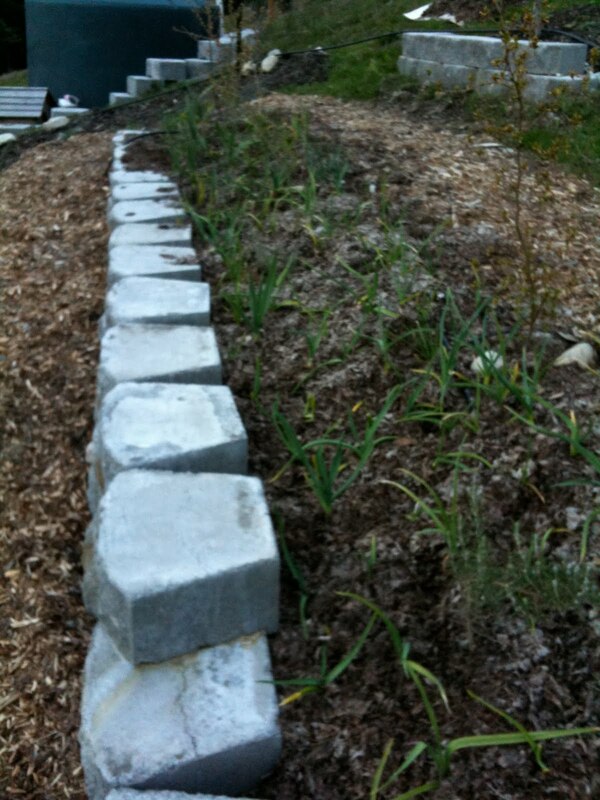 This photo does not really do justice to how exciting of a scene this is: 50′ of garlic. About eight varieties. Anytime someone is our family gets sick (which is often with little kids), we cook with garlic for a week and it seems to keep the cold/flu from rampaging through the entire family. It’s pretty cool to see a two year old pulling cloves out of the baked garlic, mashing it on homemade bread, and scarfing it down. This book was particularly helpful for selecting garlic that does well in our area, planting it right, and learning how to harvest/store it to last for months: Growing Great Garlic: The Definitive Guide for Organic Gardeners and Small Farmers . Oh my gosh, I cannot wait. Back from another teaching gig and reinvesting in the garden. Down in the food forest I added two sets of potatoes as an experiment. The first section is the fairly straightforward trench method so we can do hilling. I dug ~ 200′ of trenches, some in their own dedicated beds and some snaking around our new berry bushes and more two year old fruit trees. In another section of the food forest that had a site prepped but no topsoil/compost (because I got tired of hauling compost this past summer) I added a line of buckets with potatoes in them. The plan is to add a second vertical layer of buckets (with the bottoms cut out) on top of these as we add more dirt to them during the hilling process. I went with the buckets for the experiment (and a random trash can) rather than the more popular towers since not many folks actually *doing* the towers were getting good results. I found lots of articles citing the wonders of potato towers written by journalists, but it was clear none of them had actually planted these and watched over them for a season until harvest time. 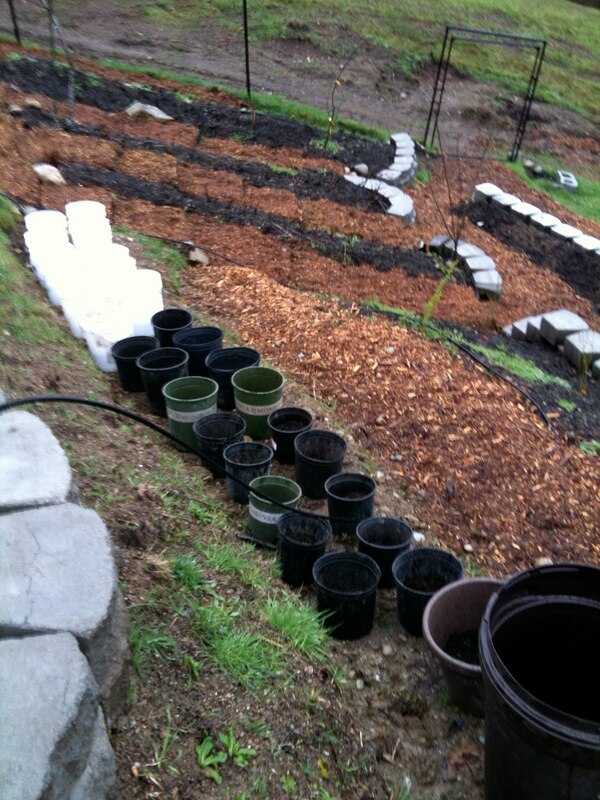 On the other hand, there are many more blog entries by folks actually doing the planting/harvesting with buckets. And I had truckloads of extra buckets left over from planting the berry bushes and runs to the local deli/bakery for food grade 5-gallon buckets. Reminder: drill holes in the bottom for drainage. Moved our kiwi trellis out of the food forest and up close to the house where it can be hidden from view for just one reason: my wife thinks it is ugly. And she’s right. The rest of the food forest is quite beautiful with the fruit trees, berry bushes, and recently completed low retaining walls. 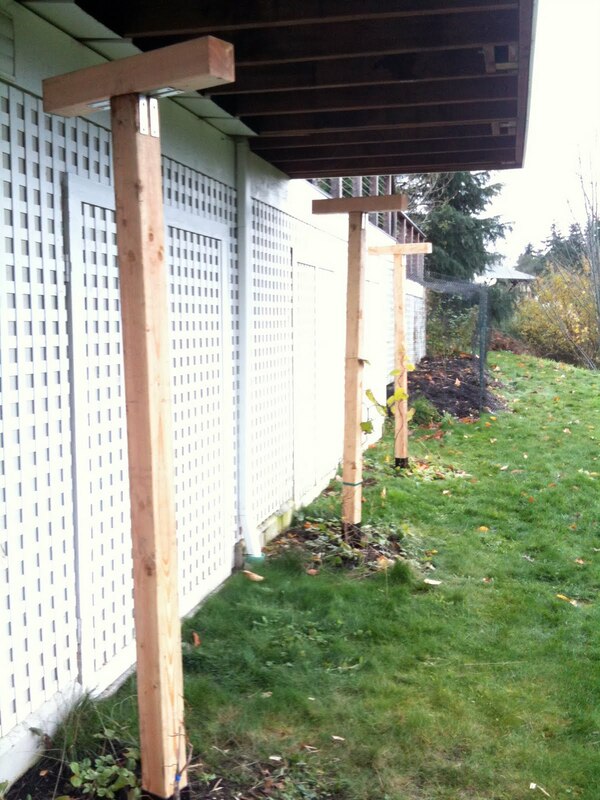 The kiwi trellis (for both fuzzies and hardies) is three 4×4 posts sticking seven feet up in the air. They are ugly and will stay ugly for several years until the kiwis cover them (they grow like grapes) or the nearby fruit trees get tall enough to screen them from view. So I took a few hours and moved them before they got settled in their new/old spot in the food forest. Will think of how to keep the deer away later. Perhaps by the time the kiwi vines bear fruit (a few years from now), we’ll have big dogs back in our lives. 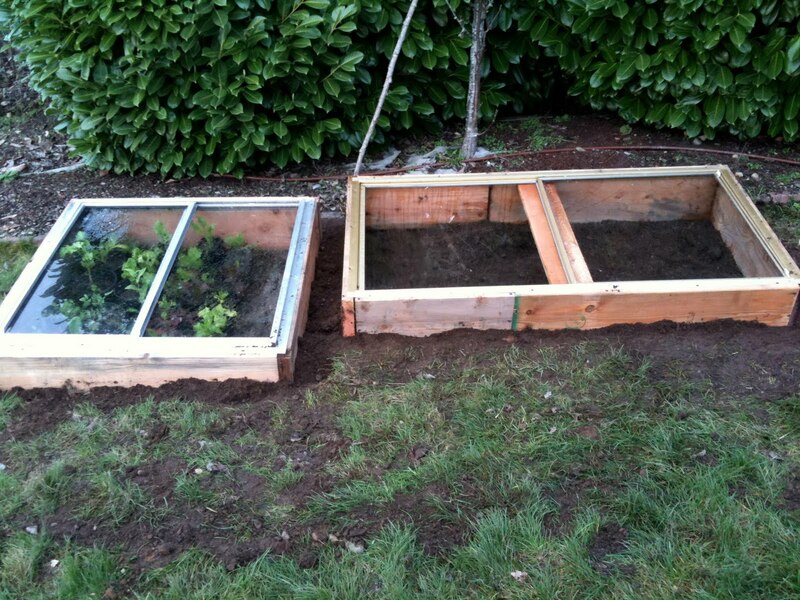 For true emergency planning, you need your garden producing food year round, even in the dead of winter. This winter I’ll be experimenting with a few different methods, but one initial success is the use of Agribon 30 paper to seriously extend the growing cycle for crops that normally can’t hack the cold. 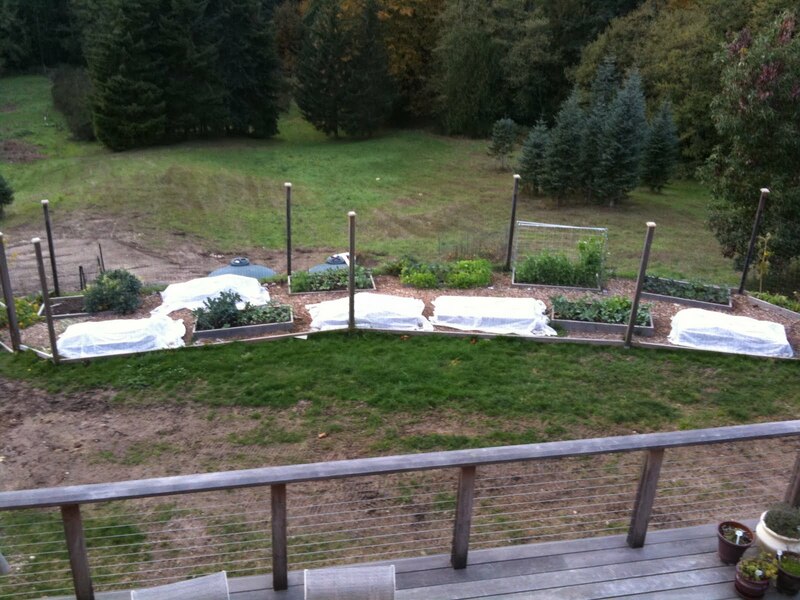 We still have eight different types of salad greens growing strong under these Agribon covered beds. Great stuff. We’re also focused on different recipes using crops that do well on their own in the cool winter here, such as kale and broccoli. After we got the dirt/compost into the new beds (on top of cardboard to smother the weeds), we planted a collection of berry bushes. Varieties include seaberries, honeyberries, raspberries, gooseberries, goji berries, goumi berries, and elderberries. We found this permaculture berry guide to be very helpful. 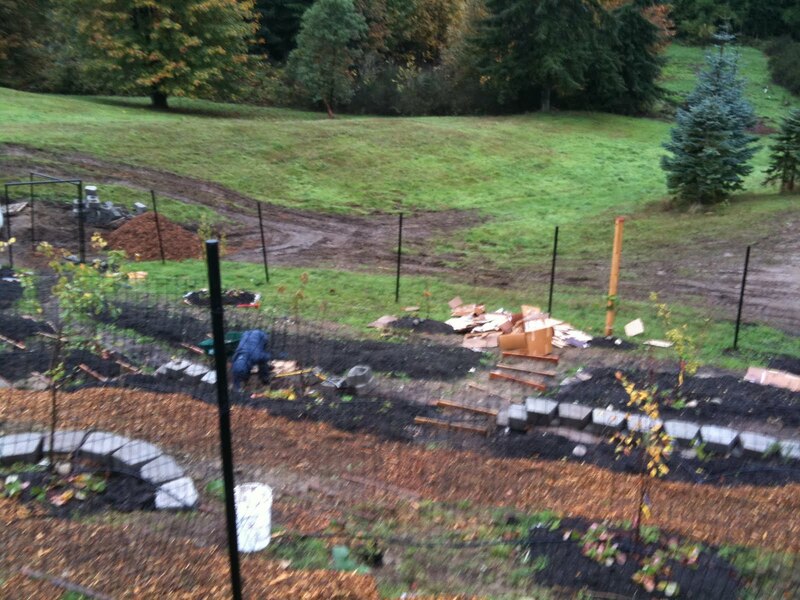 We also brought in four more types of grapes and kiwis, both hard and fuzzy, to train along a new trellis. To combat the strong pasture grass, we’re planting comfrey and nasturtium. 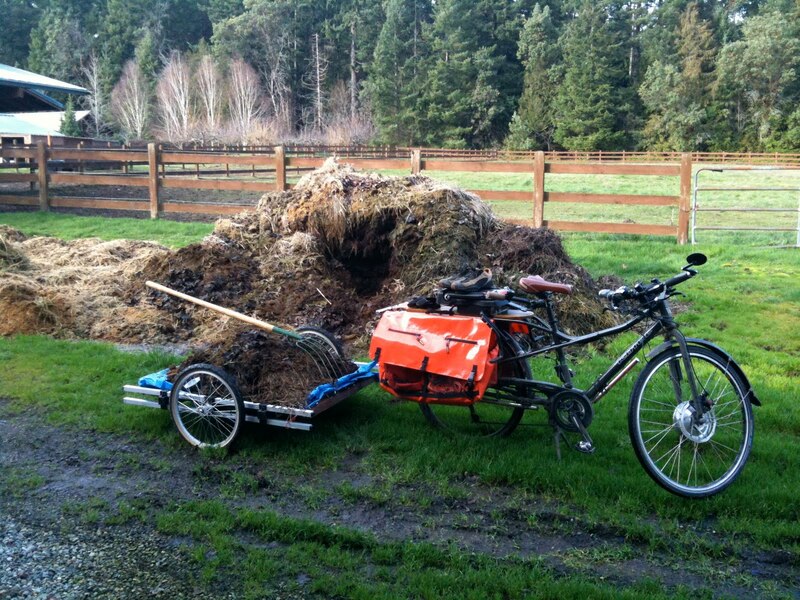 Comfrey is not only a great chop/drop fertilizer, but also good to accelerate compost heap decomposition and supplement the chicken’s feed. It also acts as a fortress plant, weaving a thick root system to choke out the pasture grass. We’re leaving two full beds open to plant potatoes in the Spring. 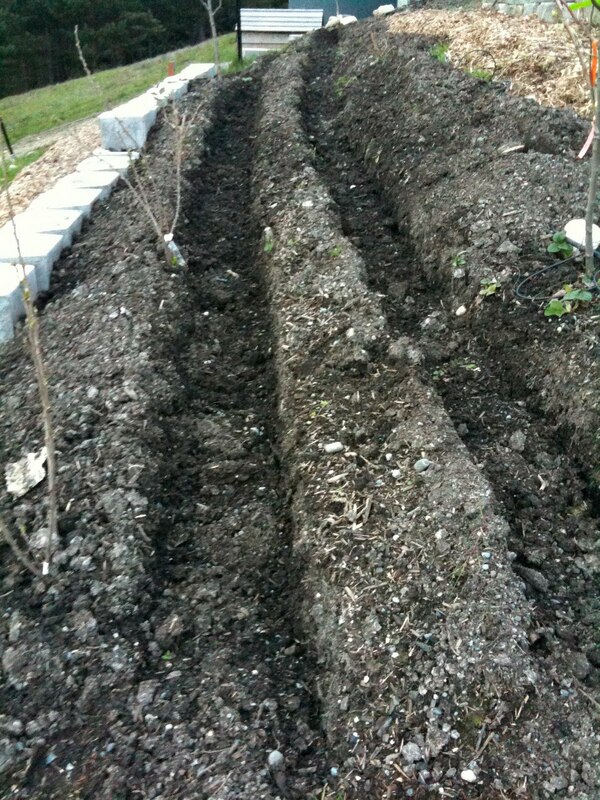 Each fruit tree will have a guild built around it, with strawberries and other beneficial plants. 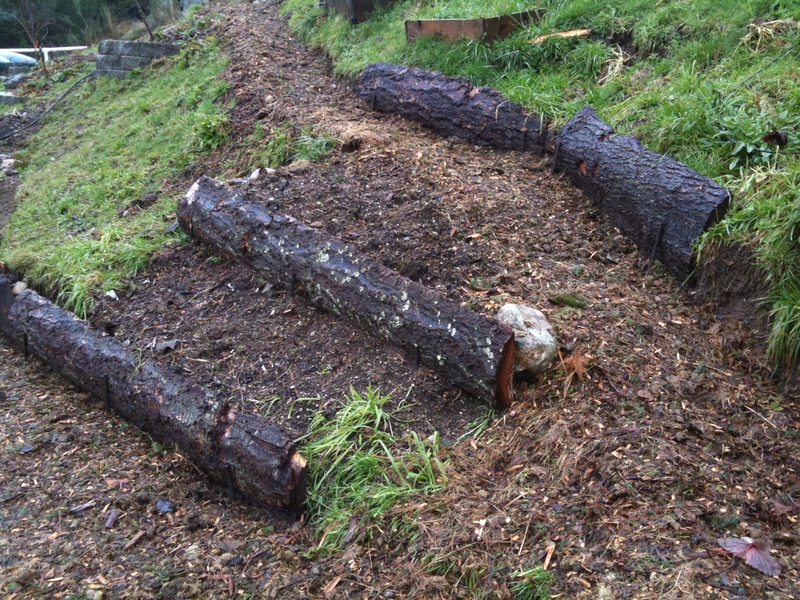 Free wood chips from local arborists line the walking paths (again, laid over wet cardboard). 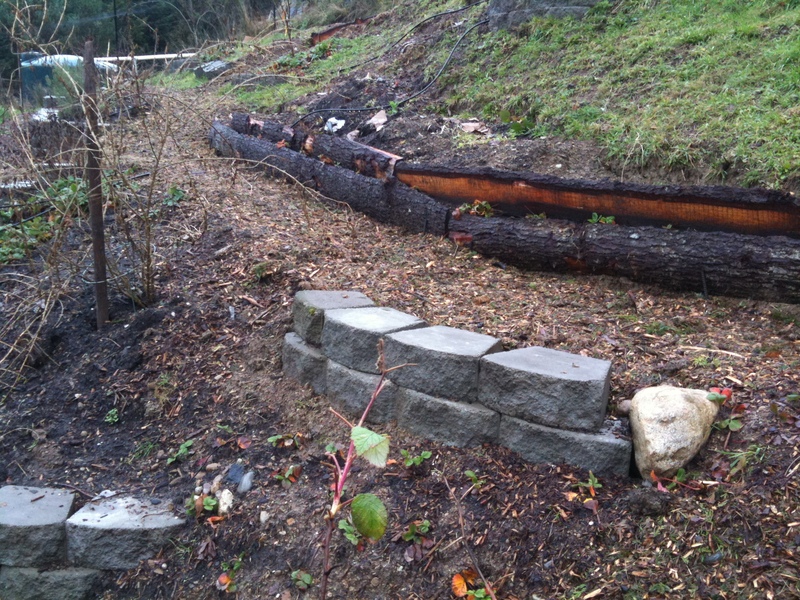 Food Forest version 1.0 is almost complete, just in time for the rains to begin. I’ve already started making my list of version 2.0 improvements to tackle next summer. More photos in this slideshow.